This is my second card as Guest Designer for Crafty Hazelnut Extra and it's the midway reminder for the current challenge ... have you joined in yet? Gorgeous fun card Anne I love the design and colours. This is a fabulous Christmas card Anne, I love these Bugaboo images. This is so darned funny! She is such a great image. Great card! Hey Anne! Congrats on the GDT spot! I did see your photo earlier on! 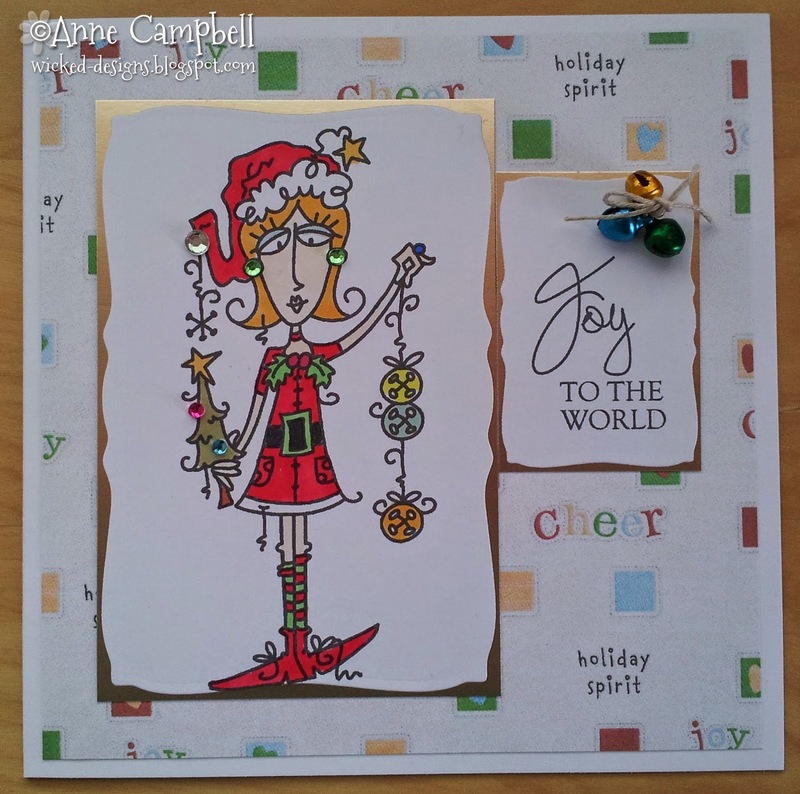 Love your card, it's just so much fun!